How Much Does Advertising on Facebook Cost? Firstly, you should know that Facebook ads works and depends on the bidding process. Now, as a marketer its a determining process to find how much you are willing to spend on the ad? 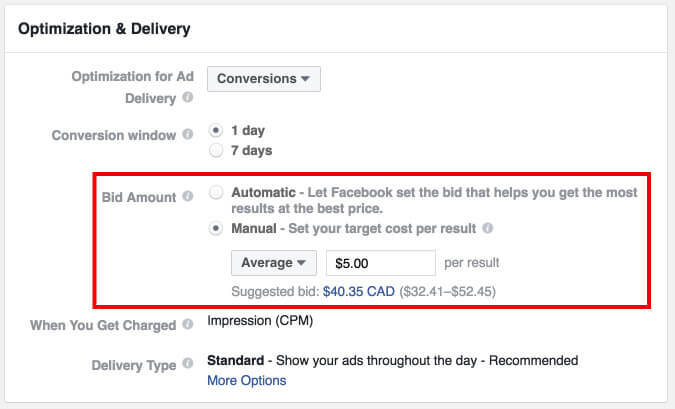 For doing this, you have two options either you can set it manually which is called manual bid or else Facebook will calculate a bid for you automatically depending on the budget and duration you choose to run the ad. Please note that while you enter your bid many other advertisers are looking for the same ad space and are bidding too. 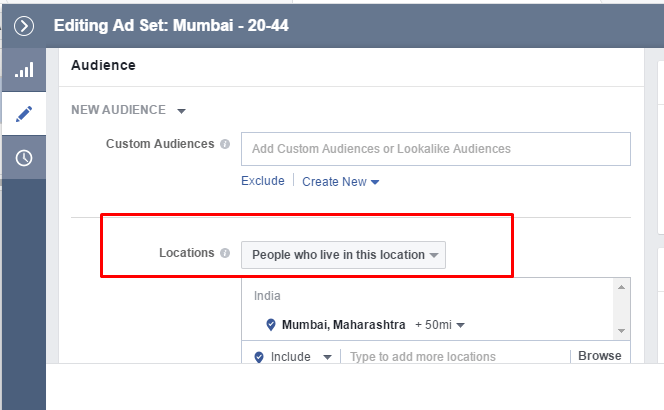 Therefore, visibility of the ads for each user is reduced by Facebook. 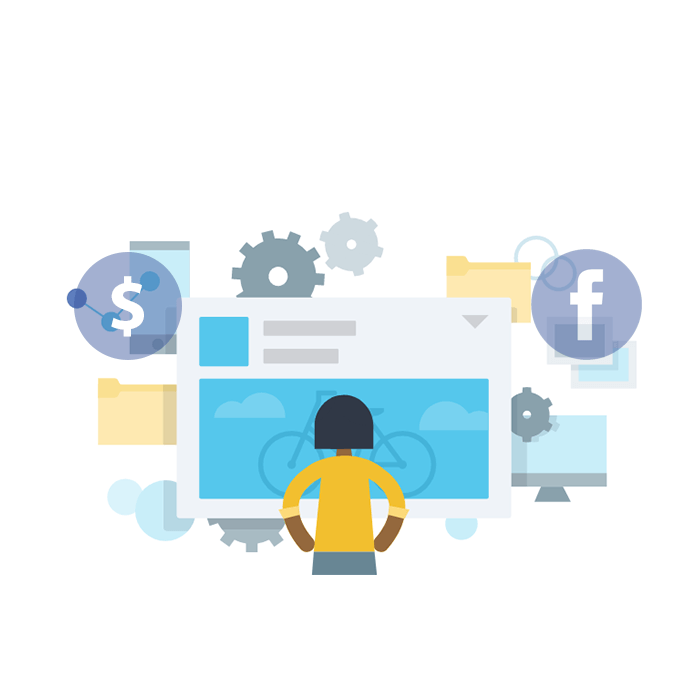 Your audience is a major factor in defining and designing the structure of the ad campaign you want to run through Facebook ads. It is important to understand that who else is targeting the same audience as you are, this factor is so relevant here as the competition is not with other marketers but the ones who are trying to approach the same customer as you are. This means that you are in direct competition with every brand who is willing to target the unique audience like yours. In short, almost everyone is pitted against each other to place the ad in a specific space. Only choose a specific target when you get the exact window you want or else its better to go with a broader audience if you have to pay less for it. But in case you get valuable target customer at high cost, do not let it go. To improve quality the cost of ad can shoot up, which is not a favorable factor for your budget. Hence, to evaluate the cost as well the quality of your ad, you need to look at the relevance score and CTR (click through ad). The relevance and engagement score is marked between 1 to 10, high score doesn’t lead to high conversion. Rather its a factor that shows the interaction of audience with the ad paced. If the reaction is high, the score goes up and vice-versa. Higher the relevance, lesser you pay for the ads. Whereas, Click through rate decides the number of impressions your ad is getting. Higher CTR will lead to higher relevance as well. Facebook consider these points while deciding the cost of your ad. See also: Buy Facebook Likes. Timing of the ad is like hitting the right chord at the right time. Its vital to know the appropriate timing of the year, month, week or a day. Your ads depend on the viewership and engagement they are going to get. Its simply all about understanding the right time for you to put it out. For example, Holiday time has to be kept in mind as a priority, although the cost of ads may be higher at that time as many advertisers are waiting to get the same place of ad at that time but busy days are always worth spending as the return is way higher than the usual spending. Festivities simply mean more customers are looking out to spend, you should also follow the phenomenon and spend more to get more. This is an estimation of how many people will possibly be interested in the ad and will react to it. So while placing ads optimizing this factor is also essential, it is called Estimated Action Rate. If the estimated action rate is low then the cost of the ad will automatically go up. The place you are going to put your ad on matters a lot such as Facebook’s desktop news feed, Facebook’s desktop right column, Facebook’s mobile news feed, and so on. Facebook recommends to place ads on Instagram and audience network if the marketer wants to reduce the average cost of the ad. This feature is under Budget and schedule, in which you can optimize the ad delivery. It allows you choose the audience whom Facebook will expose your ads to. For example, You can optimize your clicks and Facebook will let your ads appear only to the people who would be more likely to click on the ad, which can be costly.